The importance of forgiveness in resolving conflict and the wisdom of transcending the cycle of attack and counter-attack in our world. Raising awareness about how we create our own heavens and hells on earth and inside our own minds. 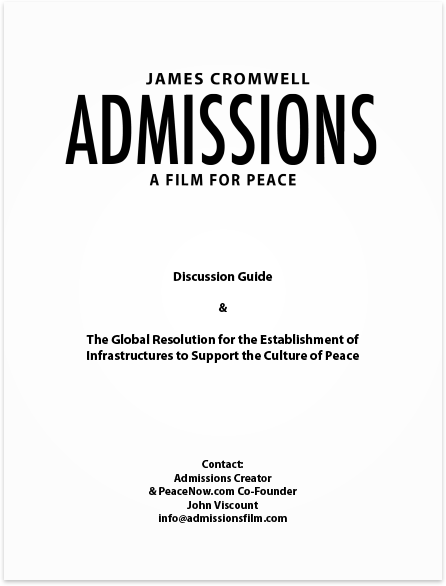 Pre-screening and post-screening questions designed to measure the film’s impact and deepen the audience’s understanding of its core principles. Dramatic excerpts from Admissions that present transformational teachings followed by discussion questions that delve into their deeper meaning.